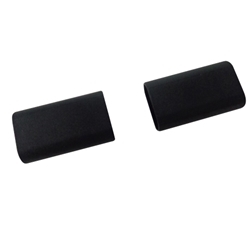 Description: New Acer laptop lcd hinge cover set. Each set includes the left and the right cap. This part is black in color. This may be the part you need to replace your broken or lost hinge covers. Compatible Part #'s: 42.GK4N1.001, 42.GK4N1.002.